More than 80 years of passion and courage have turned the WOLF firm into one of the top companies in the sector. Alois Wolf founded the firm in the Golden Twenties. Karl Wolf won over a rapidly growing customer base with his sausage specialities and soon built up a modern business enterprise. Inheriting his entrepreneurial flair, son Reinhard Wolf expanded the firm into a large concern in the mid-Seventies and specialist branches were set up. In 1989 the ultramodern factory was built in Schwandorf (Bavaria). 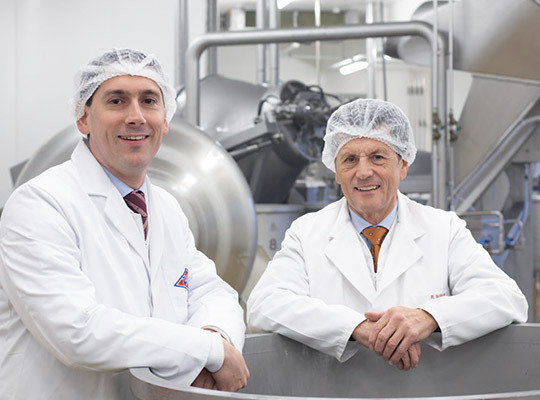 The demand for absolute freshness, traditional recipes and high quality drew the attention of the food trade to Wolf, and soon they were supplying national chains with Bavarian sausage specialities. Since nothing unites people as much as food and drink, in 1990 Reinhard Wolf made a bold move into East Germany. 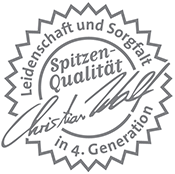 Here, too, Wolf earned a reputation as a regional specialist using traditional recipes, Thuringian master butchers and excellent quality. As demand was constantly increasing, a new factory was erected in Schmölln (Thuringia) in 1995. In 1999 Christian Wolf, the fourth generation of the firm, incorporated the traditional Nuremberg firm of Forster in the WOLF group.